The University of Virginia Health System announced it would be expanding its telehealth offerings to help treat diabetes, heart disease and other chronic illnesses. For example, UVA researchers will assess existing health and fitness apps to determine which are most helpful as well as determining how to incorporate elements of game playing to help people reach their health and fitness goals. Using a low-cost screening device, a pilot program will test the effectiveness of remote screenings for diabetic retinopathy – an eye disease caused by diabetes and a leading cause of blindness – via telehealth. Building on work underway at the UVA Advanced Diabetes Management Clinic, nurses will remotely monitor the blood-sugar levels of patients and be able to send alerts if a patient’s blood sugar reaches a concerning level. 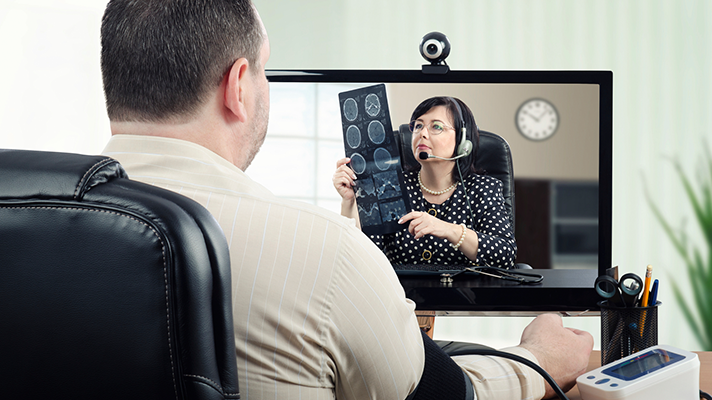 “Virtual care delivery models have proven to improve access, care coordination, clinical outcomes and patient engagement,” said Karen Rheuban, director of the UVA Center for Telehealth, in a statement. In an effort to aid home rehabilitation for heart failure patients, a group of patients will receive a tablet enabling them to enter their vital signs as well as participate in twice weekly education and physical activity sessions to aid recovery. In addition, an electronic consulting platform would enable primary care providers to seek advice from a specialist by sending a message through an electronic health record system. This would allow the specialist to review the patient’s medical record before making a recommendation. These programs will be supported by an initial grant of more than $750,000 from the federal Centers for Disease Control and Prevention and the Virginia Department of Health. The UVA Medical Center has already begun applying data visualization and agile management techniques to enrich the analytical potential of its survey data. UVA applied those metrics to a web-hosted enterprise dashboard that reports scores and percentile ranks, tracks goal achievement, and allows for comparison across service lines, units, and clinics for several Consumer Assessment of Healthcare Providers and Systems, or CAHPS, surveys.